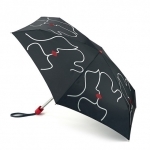 Protect yourself from the outdoor elements with the Tiny umbrella from Lulu Guinness. 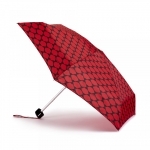 Featuring a lipstick lattice design, the flexible frame is designed to withstand the rain and wind - just don't forget to pop it in your handbag on a rainy day. The item you are viewing is currently not available. 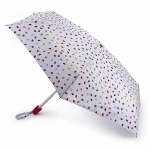 Please call us on 020 7025 2350 to enquire further.